It looks like a pizza, it cooks like a pizza, but don't make the mistake of actually thinking it's a pizza. Tarte flambée, the Alsatian flatbread topped with fromage blanc (a fresh, tart, spreadable cheese), thinly sliced raw onions and bacon, is as Franco-Germanic in flavor as can be. This method delivers a crisp bar-style tart, cooked on a flour tortilla in a cast iron skillet, then browned under the broiler. It has a thin, cracker-like crust that is irresistible. Adjust oven rack to 6 to 8 inches below broiler element and preheat broiler to high. In a medium bowl, whisk together fromage blanc and crème fraîche together until thoroughly incorporated. Season with salt and pepper; whisk in nutmeg. 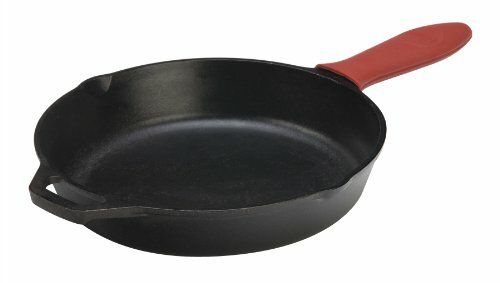 Heat 1 teaspoon oil in a large cast iron skillet over high heat until shimmering. Reduce heat to low and wipe out excess oil with a paper towel. Working 1 tortilla at a time, place tortilla in skillet with the rougher textured-side facing down. Spread 1/4 cup fromage blanc mixture over tortilla all the way to the edges. Scatter a small amount of onion on top, all the way to the edge. Scatter small amount of bacon on top, all the way to the edge. Place skillet under broiler and broil until bacon is cooked and tarte flambée is browned in spots, 2 to 4 minutes. Remove from oven. Using a small metal spatula, peek under bottom. If more crispness is desired, place skillet over medium-heat and cook, swirling tarte and peeking occasionally, until desired crispness is achieved. Slide tarte out onto a cutting board. Cut and serve immediately. Wipe out skillet and repeat with remaining tortillas and toppings. If you can't find fromage blanc, a tangy fresh cheese, you can substitute the fromage blanc- and crème fraîche-mixture below with either 1 1/2 cups quark, or 3/4 cup buttermilk blended with 3/4 cup cream cheese.